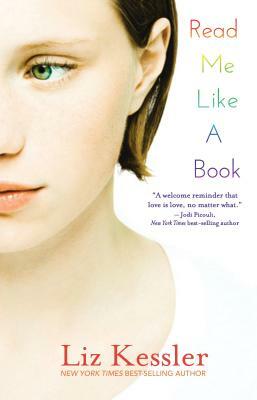 In her first novel for young adults, New York Times best-selling author Liz Kessler tells a story about finding a kindred spirit and becoming your true self. Taking risks both large and small—and growing from them—is a recurring theme of this story, from Ash's shoplifting on a dare with a rebellious friend to coming out to her parents on her 18th birthday. The English setting (including frequent pub visits and colorful slang) adds a rich dimension, as do the well-rounded characters whose flaws make them all the more sympathetic. With an absorbing plot and believable dialogue, this novel demonstrates respect for teens' fears and desires, ending on a hopeful note that steers clear of unconvincing platitudes. ...the idea that you have to know who you are in order to figure out where you want to go is a powerful one for readers examining their own identities. It’s refreshing to see depicted a student whose road ahead is so fuzzy...what makes this book compelling is its rich characterizations, particularly Ash’s parents, who grapple with their own attempts at finding love again. Far from just a story about a teen crushing on her teacher, this is about a teen discovering her sexuality and her own strength in the process. Luckily for the reading world, Kessler tucked [Read Me Like a Book] away safely for a future when readers would not only tolerate a funny, honest, bittersweet story of coming out, but clamor for it. Ash is authentic as a teen for whom light and love dawneth simultaneously. And Miss Murray is spectacular in her role as a teacher-guide who must walk the delicate line between support and inappropriateness. Readers...will appreciate the patient searching depicted here.